What started as a friendship between Tish Bruckner and Kristine Swifta decade ago is now the deepest, lifelong bond few others may ever experience. It’s the bond between a living donor and a kidney recipient. 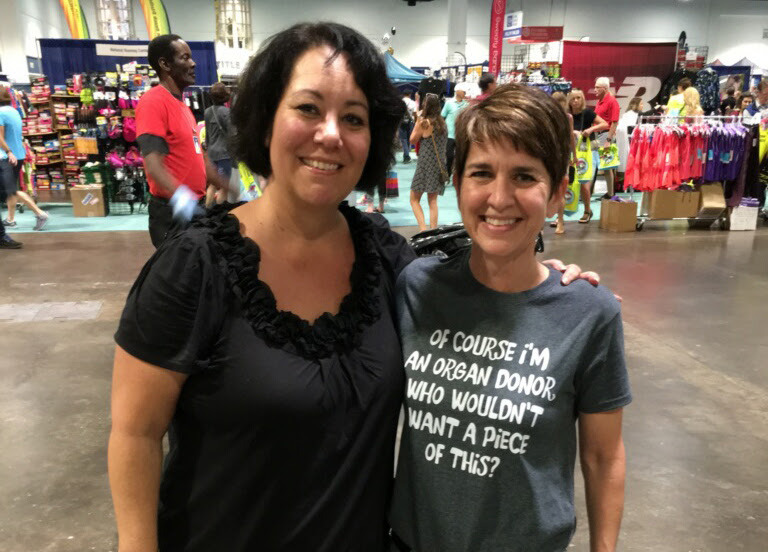 Bruckner gave the gift of life to friend Swift, who was declining in health from Polycystic Kidney Disease (PKD), in August of 2016 at the Transplant Institute of Florida(TIF) at Largo Medical Center(LMC). Swift learned when she was 10 years old she had inherited PKD from her mother. “At age 49, my kidney function was down to nearly 20%. We knew it was time to begin the pre-transplant testing to get on the transplant list,” said Swift. “My Tampa nephrologist referred me to Largo Medical Center, telling me I would receive the best level of care and personalized service throughout the process.” In January of 2016, Swift was approved and added to the transplant list. The Transplant Institute of Florida at Largo Medical Center is the only hospital in Pinellas County approved to perform kidney transplants. The TIF opened in May of 2015. It’s located at 1301 2nd Ave. SW, Suite 314, Largo, Florida 33770.